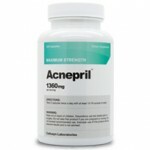 There isn’t exactly a cure for acne, but there are plenty of products that are preemptive in preventing most acne. Clearogen is a three product acne fighting system but before you talk yourself out of a treatment that may take time, there may be some things you might want to consider. To set itself apart from other systems and the powerhouse Proactiv, Clearogen markets itself as an anti-DHT treatment. DHT is a hormone in the skin that stimulates oil glands; by reducing DHT Clearogen steps in to stop pore-clogging excess oil. The whole system works in conjunction to promote healthier looking skin, but how? The Clearogen Foaming Cleanser has botanical extracts and 2% salicylic acid. The cleanser removes impurities, reduces inflammation and kills bacteria. To amplify the effects, Clearogen provides and Clarifying Toner that adds extra 1% salicylic acid and witch hazel. The toner has strong antioxidant benefits to help balance the skin. The only concern with the first two products is the potential of further skin irritation, peeling, or redness with salicylic acid. 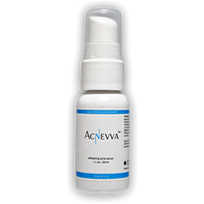 Perhaps the Acne Lotion will help address these concerns.The Acne Lotion is the final touch for Clearogen and contains 2.5% benzoyl peroxide to reduce acne and increase cell turnover for healthy skin. 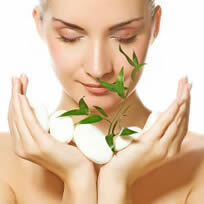 Extra botanicals help reduce DHT production and should also keep the skin hydrated. There are numerous studies on the Clearogen website that suggest this system has the power to back up the promise of good skin.The system is about $75. For a three step system, you are looking at a price range around that general area. The core acne medications in Clearogen are common, but it is the additional ingredients like linoleic acid and linolenic acid that help Clearogen address DHT unlike other treatments.